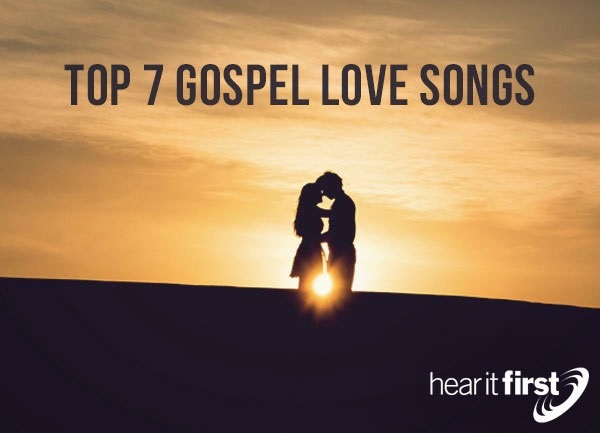 Here are seven of the top gospel love songs. Matthew West has a rich, powerful voice, and this song takes advantage of that. West’s song, “The Day Before You,” is a stirring love song to be sure, but sung with the understanding that he knew that God was working all things out for his best before he met her (Rom 8:28), singing, “heaven knows those years without you, Were shaping my heart for the day I found you.” He is clearly acknowledging the sovereignty of God as he sings, “And if you’re the reason for all I’ve been through, Then I’m thankful for the day before you.” That’s a matter of trust for Matthew West, as he writes this almost as if from personal experience. Matthew West certainly understands that there is an even deeper bond with a Christian couple’s marriage, at least if that couple is living in obedience to God. Love Lifted Me by Hezekiah Walker and the Love Fellowship Crusade Choir. Hezekiah Walker is a popular gospel music singer but also the pastor of the renowned Love Fellowship Tabernacle in Brooklyn, New York. It’s not only one of the largest churches in Brooklyn; it has one of America’s favorite choirs who positively remind us that “when nothing else could help,” Jesus’ love lifted us, taking all who’ve trusted in Him out of the darkness and into His glorious light. This upbeat, worship song focuses on one thing, and that’s the love of God, lifting up all of those that He loved. It’s as if he “picked me up and turned me around,” and set me on the solid Rock. The song, “1000 Miles,” by Mark Shultz, is a very moving song about the devotion one has for their beloved, and so this love song would be appropriate for just about any romantic occasion; weddings, anniversaries, holidays, or whatever. That’s because it’s a song that shows a devotion to their mate that is so strong, that he says, “I would walk 1,000 miles, Just to be with you,” and if “I write 10,000 songs, I’d sing them all for you.” What a touching line that is and shows just how strong marital love can be. This, romantic song is done mainly in piano, and it’s the kind of love song that would be good with any age. “Unfailing Love,” by Jimmy Needham, is also done in piano but a bit softer than “1,000 Miles.” The lyrics tie together the similarities of both the unconditional love of God and the unfailing love in marriage. Needham sings “but now that I have found you, I believe. That a miracle has come, When God sends the perfect one.” His “unfailing love for you will not be moved. For you will not be moved,” and in language that’s descriptive of God, it says “though the mountains be moved. And the hills be removed. Yet my unfailing love for you.” The song presents the agape love of God, the very love which Jesus displayed on the cross, but now, He is the Bridegroom, awaiting the marriage to His bride, the church, and we are all looking upon His “unfailing love for” us. If you’re a believer, you should be thankful for your spouse, and you should also know Who to thank, and that’s God. This powerful duet is perfect for any romantic gathering you can even imagine, but especially weddings, as they sing about the God Who “must’ve heard every prayer I’ve been praying,” for “He knew everything I would need, When God made you…He must have been thinking about me.” Their conclusion; “Thank God He made you.” I know there is some spouse somewhere out there that yearns to hear that. How often have we ever thanked God for our spouse or thanked them in person? Have you ever bragged on them in public, with sincere, honest comments that show her or him, as well as others, that you’re thankful for them? Did you know that God made Eve just for Adam? God knew “It is not good that the man should be alone; I will make him a helper fit for him” (Gen 2:18), “So the Lord God caused a deep sleep to fall upon the man, and while he slept took one of his ribs and closed up its place with flesh. And the rib that the Lord God had taken from the man he made into a woman and brought her to the man” (Gen 2:21-22), “This at last is bone of my bones and flesh of my flesh; she shall be called Woman, because she was taken out of Man” (Gen 2:23). And what naturally follows, is the “man shall leave his father and his mother and hold fast to his wife, and they shall become one flesh” (Gen 2:24).